Unsure of what EAL resources to have for a new arrival? 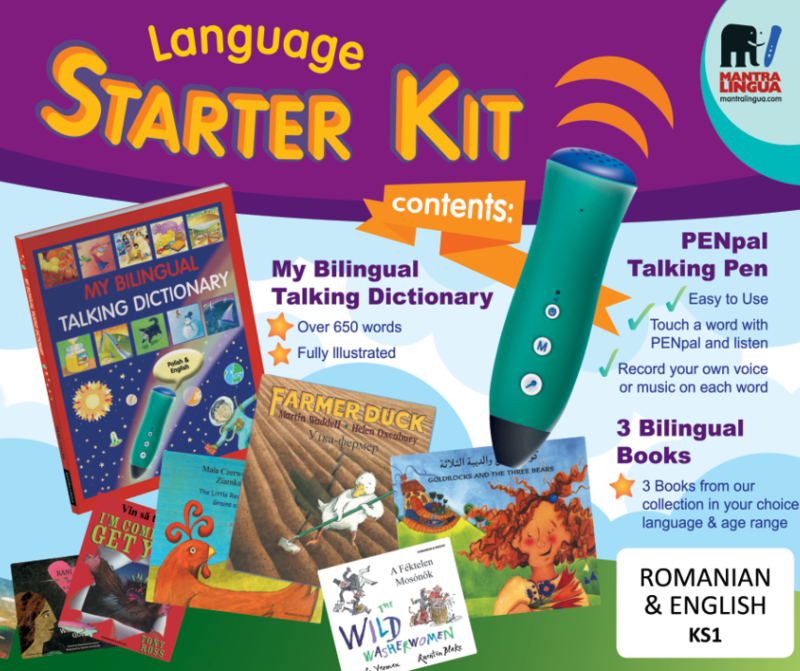 KS1 Romanian starter pack provides an immediate way to help your pupils become better acquainted with English. If a story can first be heard, read and absorbed in a home language, it helps the pupil to understand the English. They can identify with the words better. Ideally suited for ages 4-7, the pack contains a picture dictionary, 3 stories (Goldilocks & the Three Bears, I'm Coming to Get You & Little Red Hen and the Grains of Wheat) and a PENpal. The PENpal is ready to use and programmed to read all the books in the pack plus many more stories across the language range. So, if you buy a Romanian pack and wish to add books later, then the PENpal is all ready to read another Romanian book from our 'sound enabled' range.